Woodchuck, land beaver, whistle pig—groundhogs go by many names. On Saturday, January 29, the Midwest Museum of Natural History will be tipping its hat to this mighty marmot during their third annual Groundhog Gala. Guests will enjoy a fabulous evening complete with music, exhibitors, a silent auction, and treats from around the world. Snack on authentic Mexican fare from Taxco while enjoying Latin dancers (and maybe learn a few steps yourself! ); enjoy steel drums while chatting with dinosaur expert, Scott Williams; sample fruit, wine, and cheese while learning about Monarch Butterflies and native plants with Janie Grillo; get an inside look at taxidermy with Terry Martin, and more! 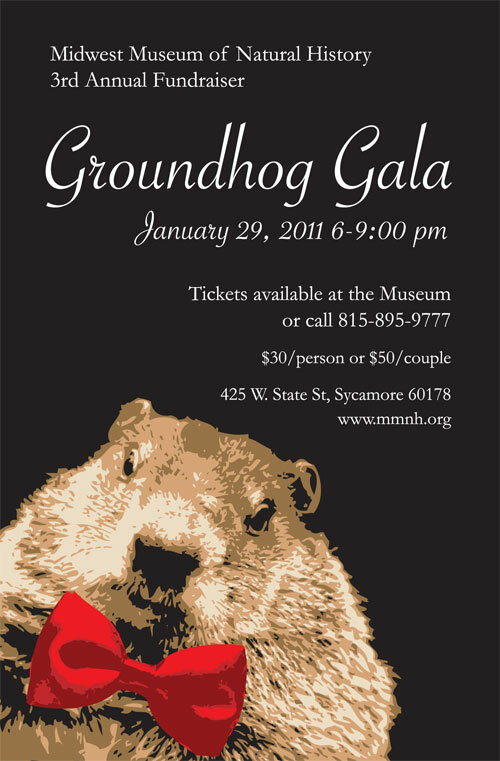 The Groundhog Gala is the Museum’s largest fundraiser of the year and all proceeds support educational programming, live animal care, museum operations, and community outreach. Tickets for the event are $30 each or two for $50; stop by the Museum or call 815-895-9777 to reserve yours today. The Midwest Museum of Natural History is a 501c3 non-profit organization. Our mission is to inspire an appreciation for the great diversity of the natural environment and human culture through education and recreation. To learn more about The Midwest Museum of Natural History and upcoming events, visit us today at www.mmnh.org. What better way to get into the holiday spirit than by dissecting a shark? Join us at the Midwest Museum of Natural History on Saturday, December 4, 1-2:30 pm for this unique opportunity. Cost for the class is $18 for members, $20 for non-members (includes Museum admission) and is open to ages Jr. High through adult. Registration is due by Tuesday, November 30. Space is limited so register today by calling 815-895-9777. The class will be taught by Dan Mitchell, teacher at Kishwaukee College and Hiawatha Jr/Sr High. Mitchell will guide participants through the dissection of a Spiny Dogfish Shark. 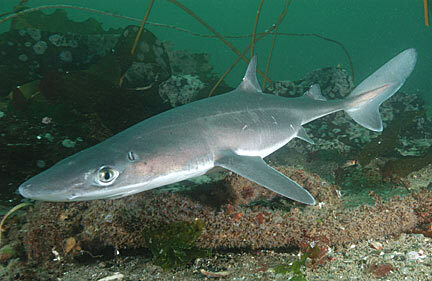 These small sharks are common throughout the world and each participant will have their own specimen to work on. The Midwest Museum of Natural History is a non-profit organization. Our mission is to inspire an appreciation for the great diversity of the natural environment and human culture through education and recreation. To learn more about The Midwest Museum of Natural History and upcoming events, visit us today at www.mmnh.org. 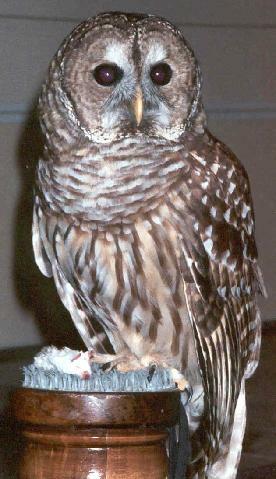 Sycamore, IL- Take flight at the Midwest Museum of Natural History with its annual live birds of prey program! SOAR (Save Our American Raptors) will be at the Museum on Saturday, November 20 for three shows: 11:00, 1:00, and 3:00. Tickets are $10 for non-members and $6 for members (includes Museum admission). Space is limited so register today by calling 815-895-9777. SOAR’s breathtaking program will feature live owls, hawks, and more. Learn amazing facts about these flighted hunters and discover the steps involved in raptor rehabilitation from rescue to release. A fascinating program for all ages; a wonderful opportunity for scouts and homeschool groups too! SOAR is a non-profit organization dedicated to the welfare of native birds of prey. The organization focuses on five goals: educating the public, promoting study of raptors, training raptor handlers, rehabilitating injured birds, and resoling human/raptor conflicts. The Midwest Museum of Natural History is a non-profit organization. Our mission is to inspire an appreciation for the great diversity of the natural environment and human culture through education and recreation. To learn more about The Midwest Museum of Natural History and upcoming events, visit us today at http://www.mmnh.org. Sycamore, IL- It’s a cycle we all know by heart: the caterpillar hatches from the egg, goes into a chrysalis, and emerges as a butterfly. But how many of us have actually seen it firsthand? Join us for “Monarchs!” at the Midwest Museum of Natural History on Sunday, August 15 at 2:00 pm, free with admission. Sycamore, IL- The Midwest Museum of Natural History creates new group for nature enthusiasts’ ages 62 or better. The new “Museum Pride” group takes flight with their first lecture presentation, “Birds 101” with guest lecturer Bob Bailey. This feather friendly presentation is followed by a delicious luncheon. The Midwest Museum of Natural History invites nature enthusiasts ages 62 and better to join them on Wednesday, June 9, 11:00 am-12:30 pm, for a Museum Pride Luncheon and Lecture. Our featured speaker will be Bob Bailey from Wild Birds Unlimited in Rockford. Bailey’s presentation, “Birds 101,” will guide you through how best to attract birds to your backyard using proper feeders, seed, water, and shelter. Bob’s presentation will be followed by lunch and ample time for participants to explore the museum at their leisure. Registration is required and the cost is $2, plus museum admission. Call 815-895-9777 to register today! This year’s Museum Pride events are sponsored by a generous grant from the Mary E. Stevens Lecture and Concert Fund. “We have a very strong senior community that are wonderful supporters of the museum,” notes Director Molly Holman. “We wanted to form a special group to serve them and their interests.” Holman adds, “Bob’s ‘Birds 101’ is an entertaining and informative presentation which will provide the audience with a straightforward guide on how best to attract the birds you hope to see in your backyard.” Each Museum Pride event will feature a new topic that you won’t want to miss. The next Museum Pride event will take place in September. Sycamore, IL—Spring is in the air, the birds are singing, the days are warming up, and the flowers are blooming… well, not all the flowers. In fact, there’s one in particular that holds out until it’s good and ready: the Shooting Star. Professor Paul Sorensen will share his passion for this prairie species during a lecture at the Midwest Museum of Natural History on Saturday, May 1 at 2:00 entitled “Shooting Star: the Prairie Plant with Attitude.” The lecture is free with museum admission. In the wild, the Shooting Star (Dodecatheon meadia) takes a long time to mature due to short periods of growth and long periods of dormancy each year. When it finally does bloom, it does so reliably in early May. It is a plant for the patient gardener, taking five to seven years (or longer) to go from seed to blossom. Experiments under artificial growing conditions have shown that they can be manipulated to mature more quickly. However, the Shooting Star takes its time for a good reason. Join us on May 1 to learn more and find out where you can see this beautiful blossom! Paul Sorensen earned his PhD from the University of Iowa. He is a professor emeritus in the Biological Sciences Department at Northern Illinois University, Curator of the NIU Herbarium, and the Curator of Botany at Burpee Museum of Natural History in Rockford. The Midwest Museum of Natural History is a non-profit organization. Our mission is to inspire an appreciation for the great diversity of the natural environment and human culture through education and recreation. To learn more about The Midwest Museum of Natural History, visit http://www.mmnh.org. Sycamore, IL—Come visit with some furry and feathered spring babies at the Midwest Museum of Natural History on Saturday, March 13. The museum will be celebrating the arrival of spring with chicks, ducklings, bunnies, a lamb, and goat kid. The animals will be at the museum from 2:00-4:00 pm and tickets are $2, plus museum admission, for a 15-minute visit with the babies. You may purchase your ticket in advance by calling 815-895-9777, or at the door. A perfect photo opportunity! The Midwest Museum of Natural History is a non-profit organization. Our mission is to educate visitors about the great diversity of the natural environment and human culture, continually focusing on a more prudent stewardship of the environment and a better understanding among people. To learn more about The Midwest Museum of Natural History, visit www.mmnh.org.